Kristi Belcamino, a Do Some Damage alum, author and newspaper reporter, grew up in Paradise, Calif. This is her childhood home. I’m sure you’ve heard that California is on fire. The devastation is worst just north of Sacramento in the Sierra foothill town of Paradise, which has been essentially destroyed. There are a lot of facts and figures I could throw at you—at least 71 people confirmed dead, more than 1,000 listed as missing, 9,700 homes destroyed—but what I want to talk about today is how the public knows all this. Newspaper and TV reporters are out there in the middle of all this in order to bring vital information to the public. Where to send donations, where to go to volunteer, which shelters are open and which are at capacity, which schools are closed due to smokey air. The list goes on. What does it look like, smell like, who’s responsible for the clean up, what caused it in the first place. Journalists are the link between the heroic first responders and the rest of us. They’re rushing in as everyone else rushes out. It’s dangerous, and it affects them. Sacramento Bee reporter Ryan Sabalow wrote about the haunting memories this Tuesday after spending six days in Paradise. “Buildings were on fire all around us. The air was orange. 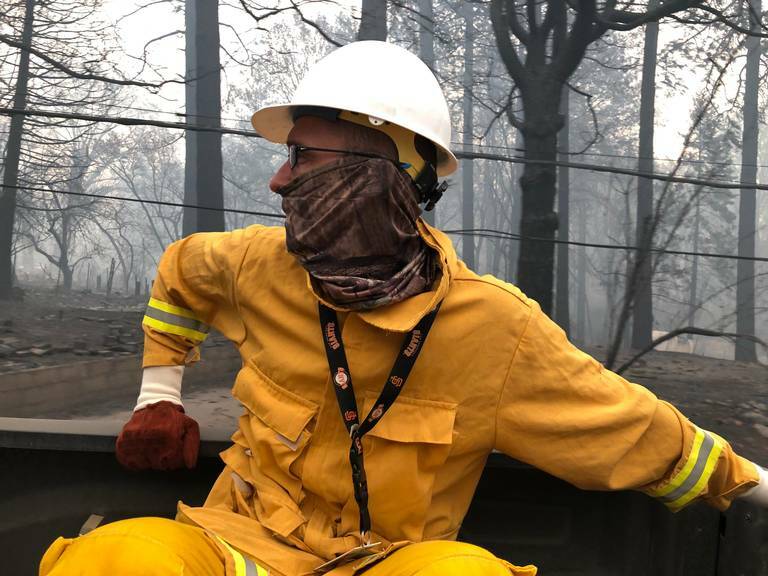 We could taste the wood, the melting plastic and the scorched metal under our face masks, even inside our SUV.” For video of what he and photojournalist Hector Amezcua experienced, click here. The scope of this disaster is so huge, it’s going to take Northern California a long time to recover. I know journalists will be there to document it all. To donate to victims of the Camp Fire, follow the link here.